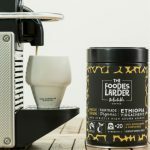 The development of our new speciality eco coffee capsules has meant we’ve temporarily gone out of stock. However, fear not as they will back very shortly and boy will the wait be worthwhile as they will look and taste even better…get ready to follow #followtheBlueGoose! Organic, Fairtrade, Speciality Arabica Coffee, decaffeinated naturally and without chemicals thanks to the innovative unique Swiss Water® process. A smooth, medium-bodied blend with mild acidity and roasted peanut and cookie dough notes that end with a delicious soft-milk chocolate kick. TASTE EXPERIENCE: Our Speciality Swiss Water® Decaff is a smooth, medium bodied blend with mild acidity. You’ll love its roasted peanut and cookie dough notes, with a soft-milk chocolate kick! Strength 4 (out of 10). 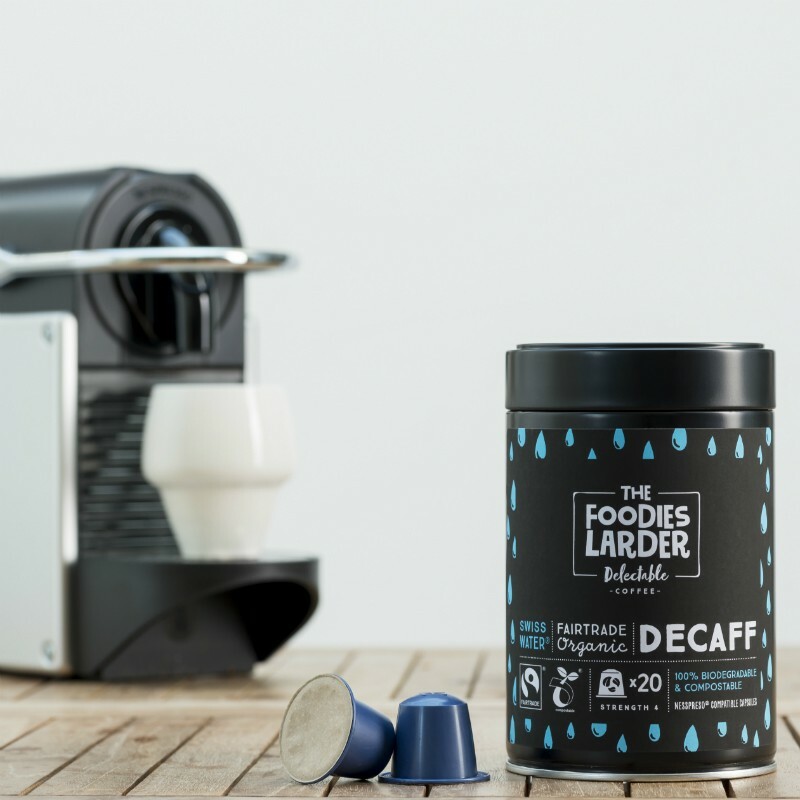 ORGANIC & FAIRTRADE CERTIFIED: Our Decaff is an Organic, Fairtrade, Speciality Arabica Coffee in Nespresso® Compatible home compostable capsules. DECAFFEINATED NATURALLY: 100% chemical free thanks to the innovative unique Swiss Water® process, which begins with pure water and ends with our amazing decaffeinated coffee. 100% BIODEGRADABLE PODS: Made from cornstarch, our 100% compostable and biodegradable capsules are compatible with Nespresso® original domestic drop-through coffee machines (excl. Expert), and will disintegrate in your home composter or organic recycling within 6 months. 10% MORE COFFEE: Freshly roasted in the UK, each of our pods contain 5.5g of premium coffee compared to the 5g found in a standard Nespresso® capsule. The pods come in a hermetically pressure sealed premium, recyclable screw top tin for freshness – 20 pods per tin. 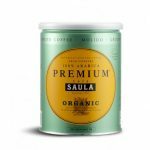 Our speciality, organic and 100% chemical free Swiss Water® decaffeinated coffee capsules offer a smooth, medium bodied blend with mild acidity. The roasted peanut and cookie dough notes end with a soft-milk chocolate kick…delicious! Single Origin, High Grown, Organic, Fairtrade, Rainforest Alliance certified, Swiss Water® Decaffeinated…our ‘Delectable’ range of three premium coffees not only gives you a truly delicious coffee experience, but one that is ethical and sustainable too. You see, unlike Nespresso® and the plastic compatible capsules out there, our coffee capsule range is 100% biodegradable and compostable. Simply place our capsules in your home composter or organic recycling after use and they will decompose within 6 months. This is in stark contrast to aluminium Nespresso® capsules, which can take up to 150 years to breakdown, or up to 500 years for plastic capsules…horrifying isn’t it?! Some companies make spurious claims about being eco-friendly, even though they sell plastic coffee capsules. Sure, if you’re dedicated enough to peel-empty-wash every single one yourself, but bang goes any convenience of owning a Nespresso® machine! Likewise, Nespresso® offer their own capsule recycling bags, but in reality many people simply throw away their used coffee capsules only to be buried in landfill…a real-world case of convenience over conscience! Thankfully, this no longer needs to be the case. So join us and indulge in a guilt-free coffee courtesy of our cooperative farmers and our biodegradable coffee pods. 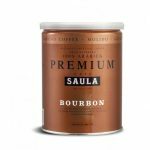 Each order includes 40 pods in 2x pressure sealed tins to maintain freshness. Use exactly like normal Nespresso® capsules and enjoy within 3 weeks of opening.